Alright, let’s get on topic! 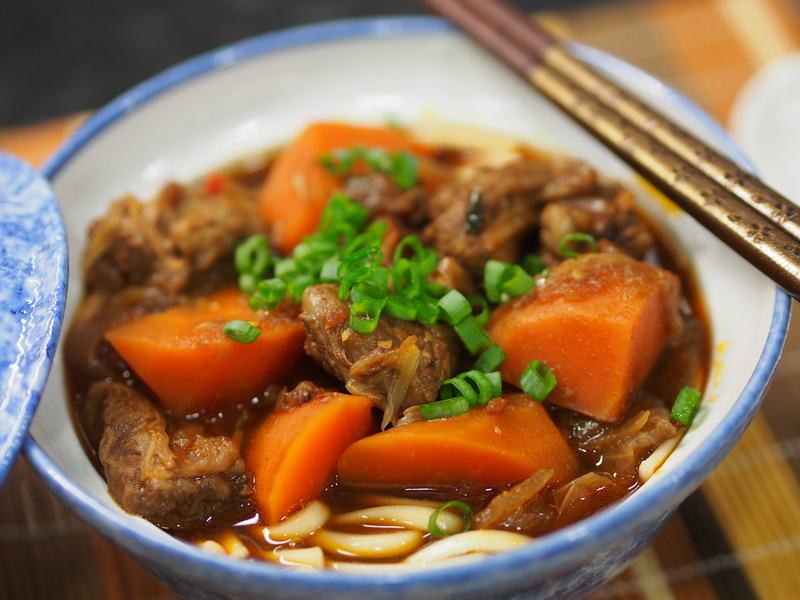 I am obsessed with braised beef noodles. I love the flavourful broth, the thick hand made noodles, the tasty beef, sprinkles of spring onion on top.. Yes, it is one of my all time favorite dishes! Back in Vancouver, my favorite place is Wang Ji’s on 57th and Granville. In high school, I used to go to my friend Kat’s house nearby to study for our IB exams and coming here for dinner would be our secret escape. Somehow a bowl of spicy and chewy beef noodles and girls chat could make us forget about all our stress, even if just for an hour. You know how you always have some fond memories with your childhood friends? This is one of those for me. Luckily, our Taiwanese friend Jon made this for us one night and shared his secret- you must choose the correct cut of beef: rib fingers! I had previously chosen beef briskets since that’s what is always served in Cantonese restaurants, but it requires extensive time to cook and soften. On the other hand, rib fingers are a really tender cut and don’t require much cooking time. Yes, finally my love for cooking this dish was sparked again! So I went out and got myself some rib fingers and to my delight, it turned out so soft and tender! So over the past year, I have been experimenting with different herbs, spices, and vegetables. I wanted to find a way to get enough depth in the broth without having to cook it for endless hours. Who has that much time or patience anyway? I love the prickly spice of Sichuan peppercorns as well as the tomato base commonly seen in Taiwanese beef noodle soups. 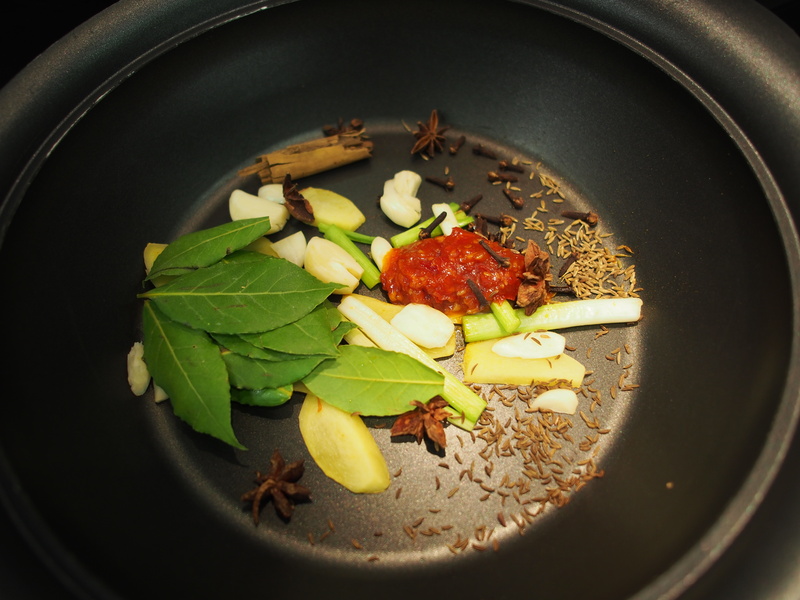 I found that toasting the spices and herbs first really helped to bring out their flavours. 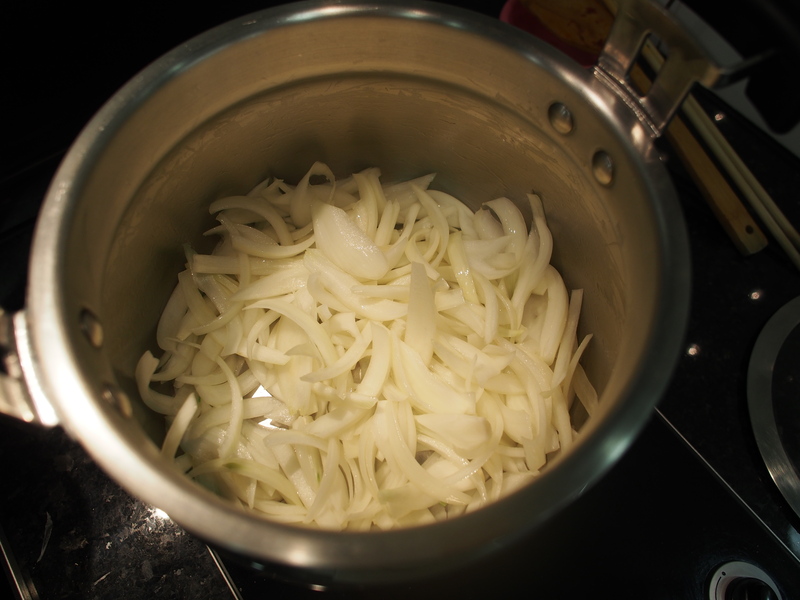 Finally, caramelizing my onions and sweating my tomatoes produced the taste I was looking for. 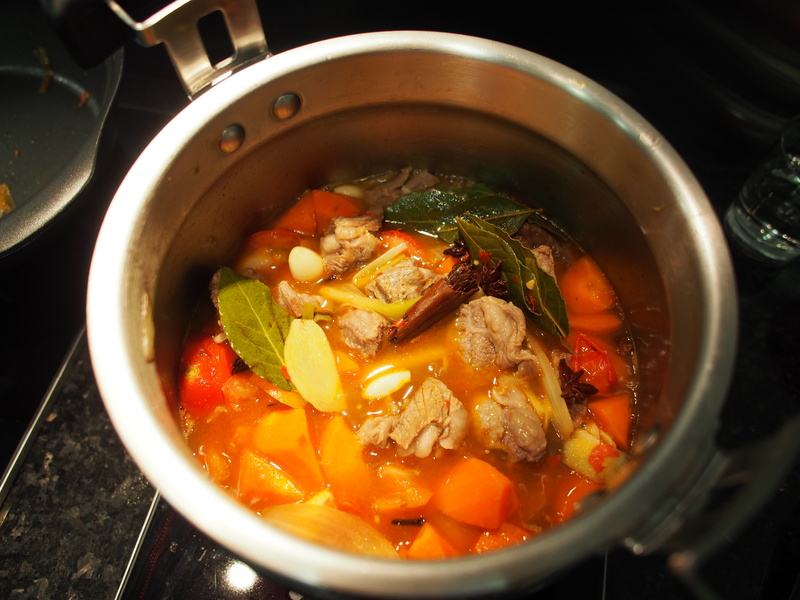 And best of all, these simple steps helped to create a thick broth without hours of braising! This has been one of my most requested recipes and I’m so happy to finally be able to share it with y’all. I hope you enjoy and try it out yourself! 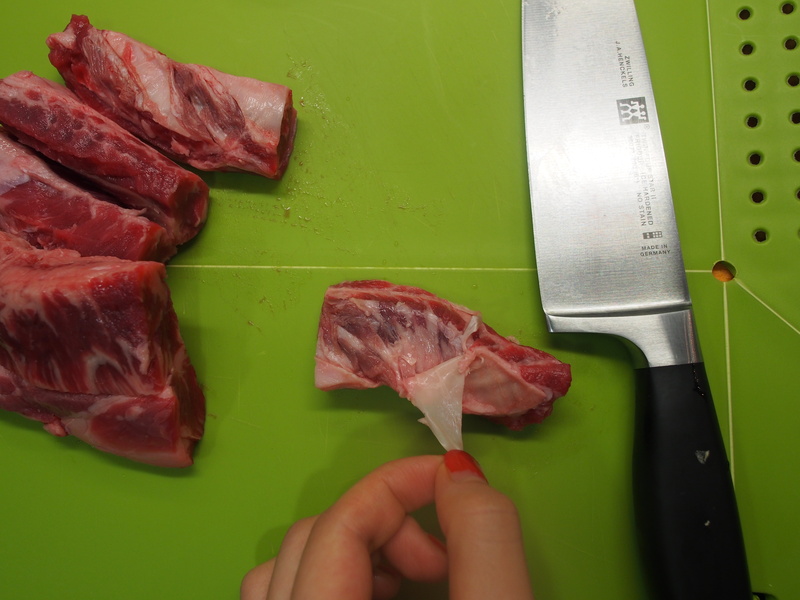 Remove the tough membrane on the sides of the rib fingers as it will make the meat contract and is difficult to chew. Then slice into 2-inch cubes. 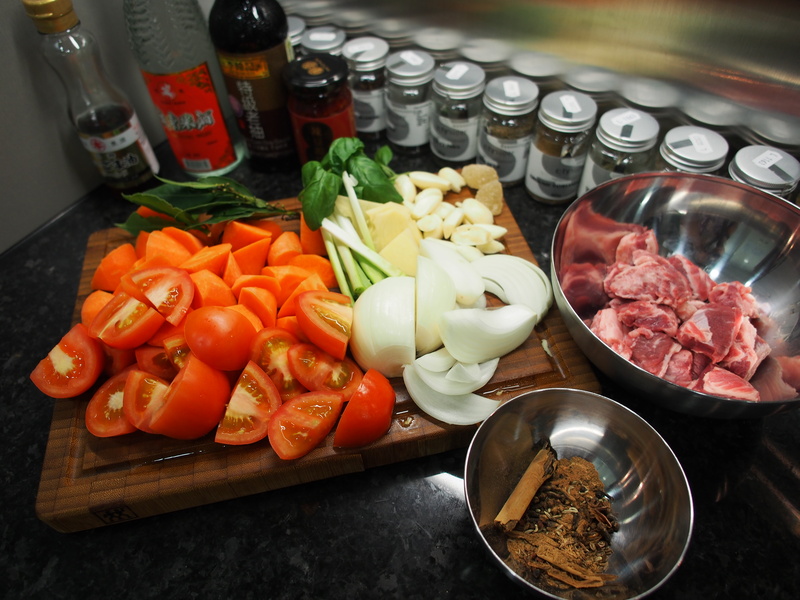 *I wish I could tell you to use Chinese 5 powder spice to replace all these spices but trust me, don’t do it! The loose powder will fly everywhere and attack your nose and give you a very painful coughing fit! Yes I’ve been there. 4. Add enough room temperature water to cover the beef (2-3 cups), 2-3 tablespoons of premium dark soy sauce, 2 tablespoons of cooking wine, and the crystal sugars. 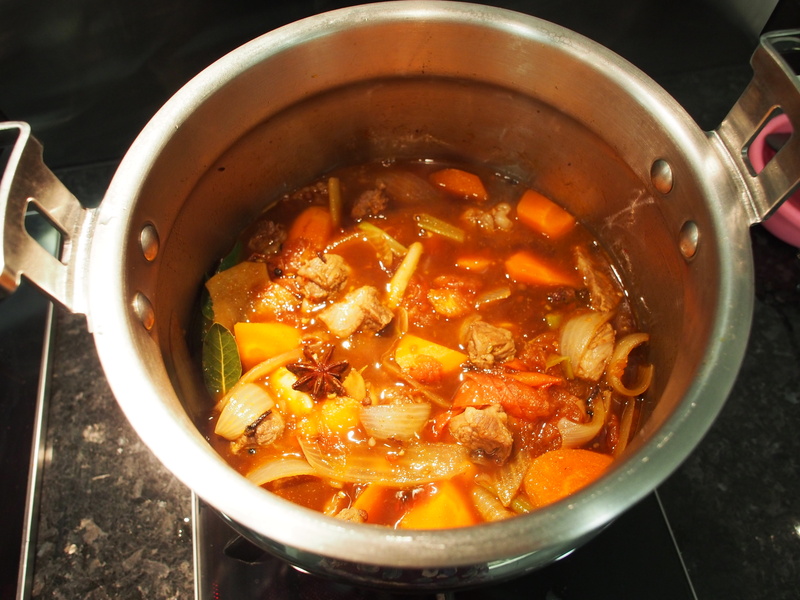 Put the lid on and bring to a boil, then turn to low heat and continue simmering. 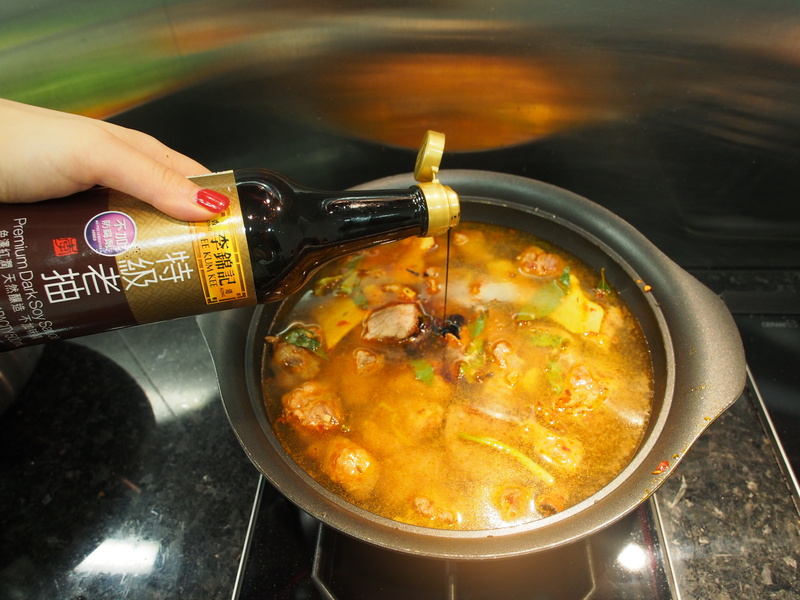 *what is the difference between dark soy sauce (老抽）and light soy sauce (生抽)? Dark soy sauce is less salty, has a richer flavour, and can give meats a deeper color, whereas light soy sauce is saltier and gives less depth to your food. I prefer using dark soy sauce usually. *if you leave the fire on high the whole time, too much water will evaporate and the meat will be come tough and dry. 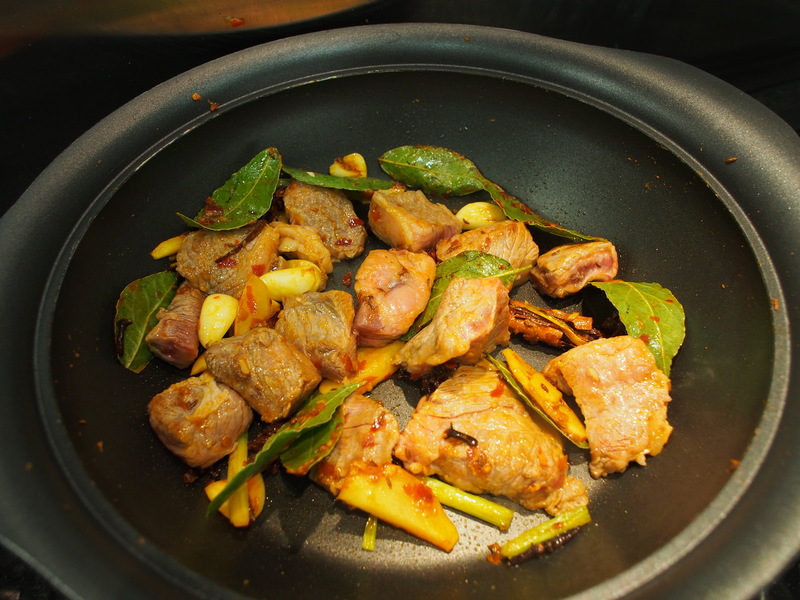 Turning it on low keeps the meat tender while absorbing flavour. 8. 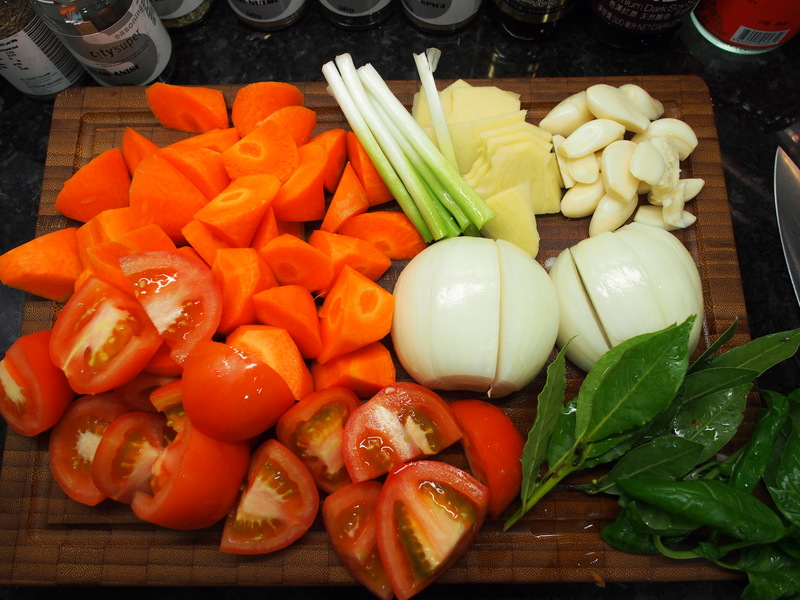 Add the beef broth and basil leaves into the vegetables, cover with lid, and bring to a boil. 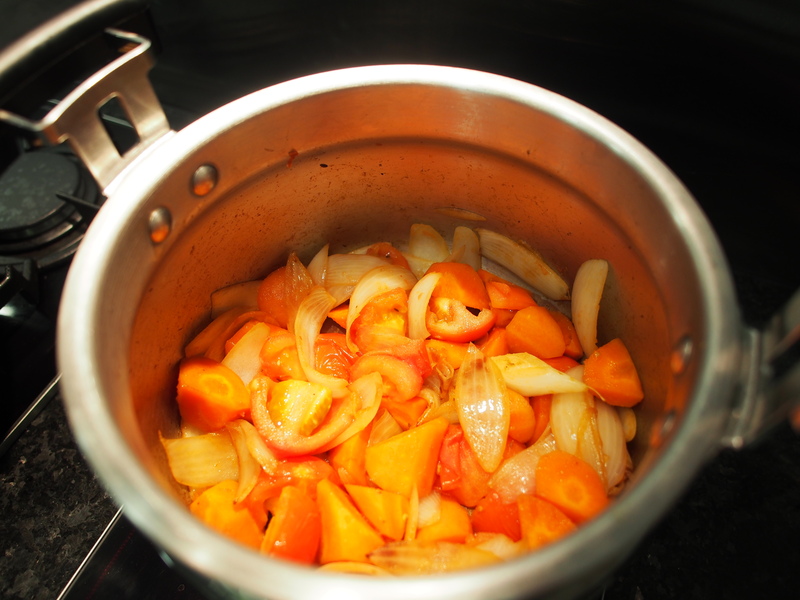 Then simmer on low heat for at least 1 hour. *if you are using a pressure cooker or a dutch oven for this part, your cooking time can probably be shortened to 30 minutes. I usually let the broth boil on medium heat for 15 minutes and then put the whole pot into this Zojirushi insulated vacuum container which retains all my liquids and heat for at least 6-8 hours so that I don’t need to watch the fire and can just let it braise overnight. 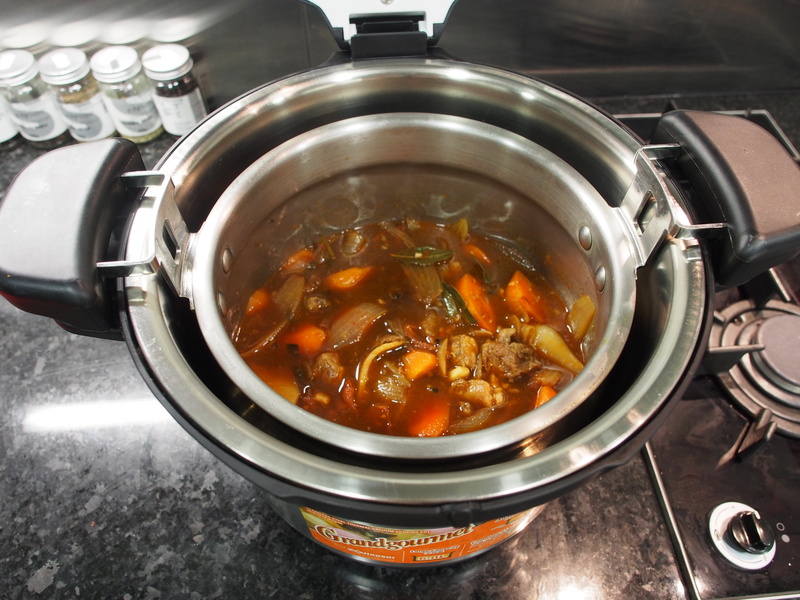 This is great if you make it the night before, but definitely isn’t as powerful as a pressure cooker which increases the pressure inside the pot, thus increasing the boiling temperature of the food, effectively shortening cooking time. 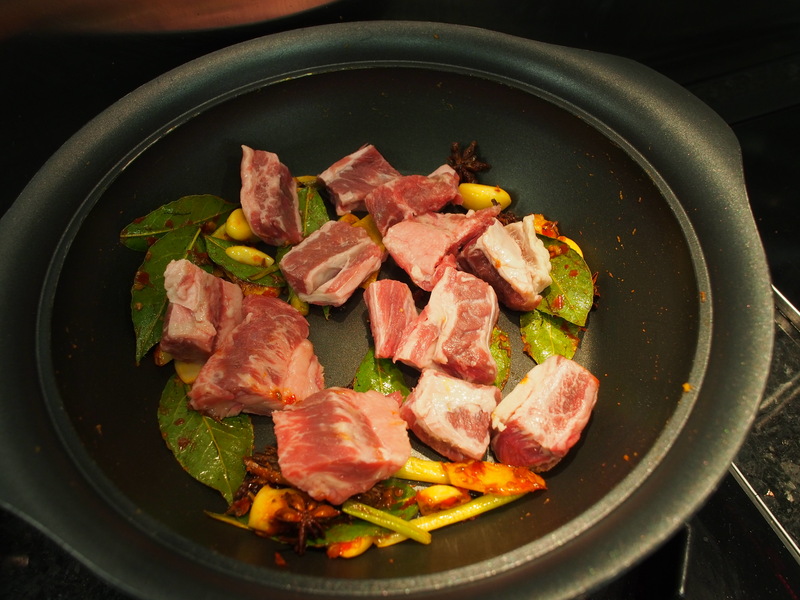 Once done, the broth should be a dense rich red/brown color. 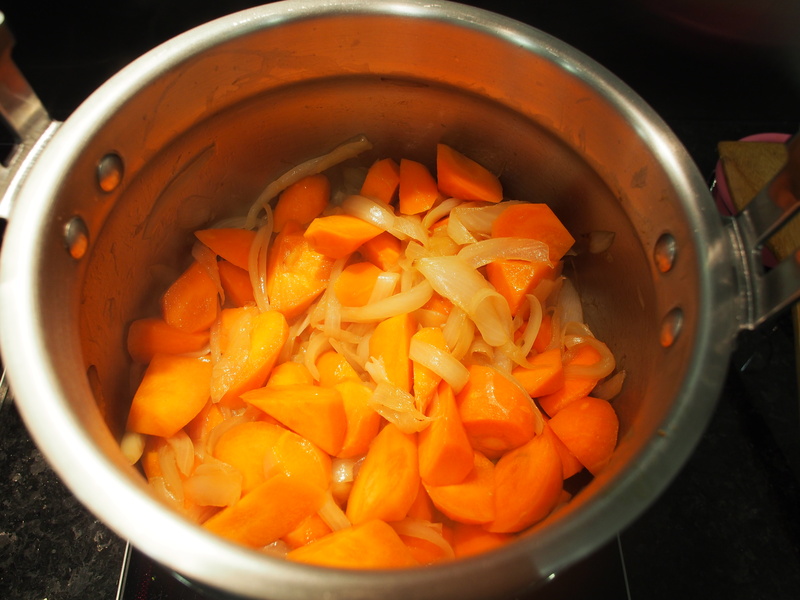 The onions should be almost melted into the soup and the carrots and beef soft. Taste and see if you need to add more dark soy sauce or sugar. *ladle out the spices and herbs if they bother you while eating, but I like to be reminded of what’s inside the broth so I don’t bother. Not sure which noodles to pick? 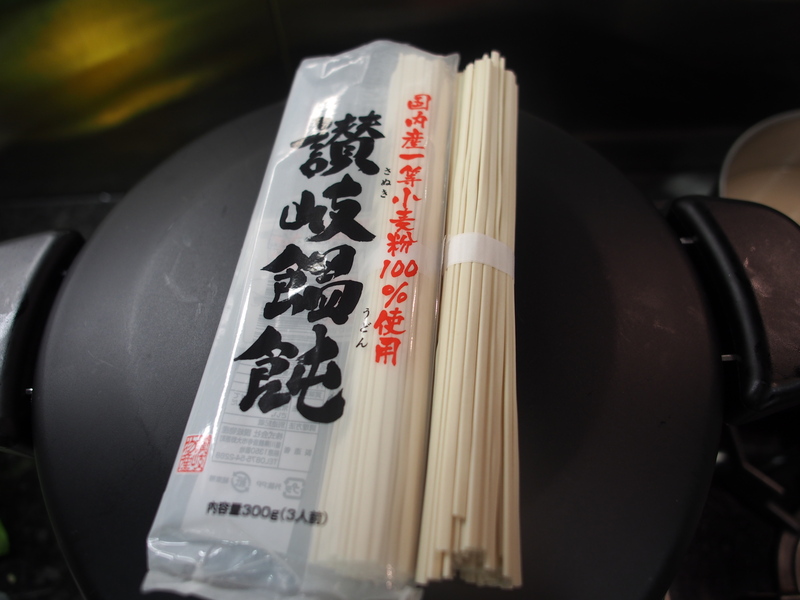 My favorite noodles are knife-cut noodles (刀削面）but they are quite hard to buy. A while ago City’Super sold them frozen but not anymore. So, these ones are currently our favorite noodles. 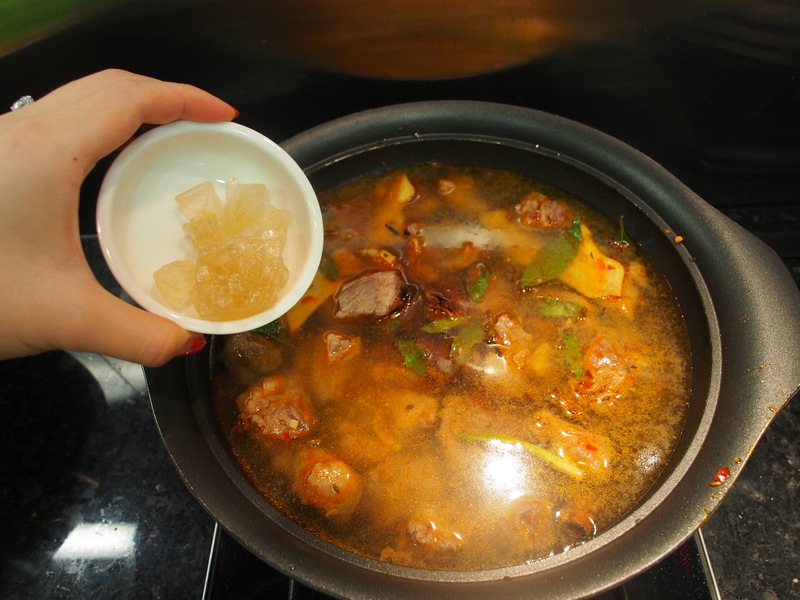 In my opinion, try to go for frozen > dried noodles, and thick> thin noodles because I prefer a chewier texture for this broth! 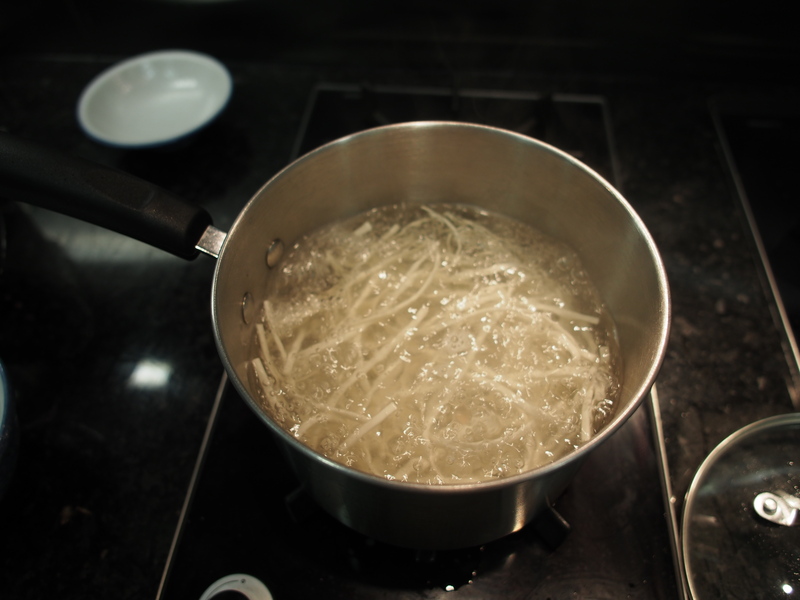 Boil water and cook the noodles until they are 90% done and separate into serving bowls. 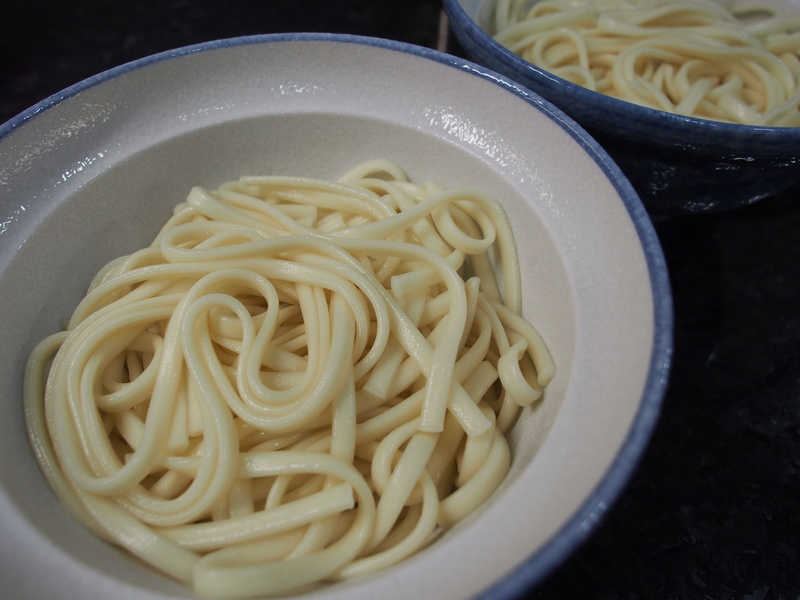 * I prefer to slightly undercook the noodles to retain their chewiness and they will continue to soak up soup as you eat. Ladle the beef broth on top of the noodles. Sprinkle with chopped spring onions and a drizzle of sesame oil. Enjoy it while it’s hot and before the noodles soak up the soup and get too soggy! If you like this, please enter your e-mail below to subscribe so you don’t miss any posts in the future and leave me a comment below! muah muah! I absolutely LOVE this post!!! Well done my darling!! 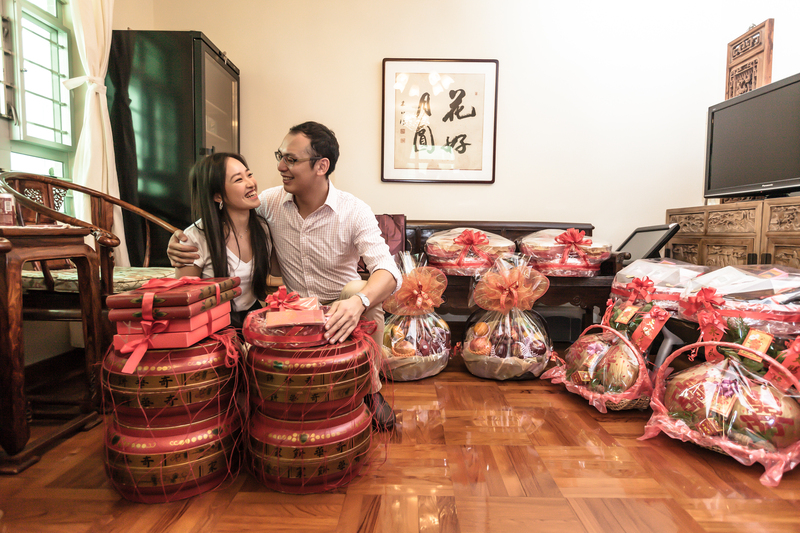 Now, I am upset…I have all the lovely memories of us being together but where’s my BEEF NOODLES (throwing tantrums around)??!! Can we have a “gaining weight back” session after your wedding and make all the yummy food with your recipes? I miss you!!! Awesome! Makes people hungry just reading this. What’s rib fingers in Chinese if we want to get it from wet market?? I did it!! Actually found a pack of rib fingers in supermarket … Handy! I didn’t have all those lovely herbs … So I resorted to 5 flavours powder instead. Just toast the garlic ginger and add beer, And then add the powder. Tasted SOOO good!! Thank you for the recipe!! In terms of alcohol I used Japanese mirin instead of Chinese cooking wine. Worked well too. Rerun and was same good. I even got those thick Taiwanese noodles just for this purpose ! The best thing of making this from scratch is– we can happily drink all the soup without a worry of msg! Hi Teddy! Thanks for your sweet comment, I don’t use Twitter but if you have instagram you can follow me @cookedforyou there 😉 let me know it’s you so I can follow you back!